Ms. George is a member of the Edwardsville Chamber of Commerce and has served on the Edwardsville School District Citizen’s Advisory Council. While teaching at Highland High School and later in SIUE’s Upward Bound program, Bev implemented a delinquency prevention program for the City of Edwardsville. She serves as the chair of the SIUE School of Education, Health and Human Behavior Advisory Board, a member of the School of Education, Health and Human Behavior Academy of Fellows, a mentor for Students Today, Alumni Tomorrow (STAT), and as the current president of the SIUE Alumni Association Board of Directors. 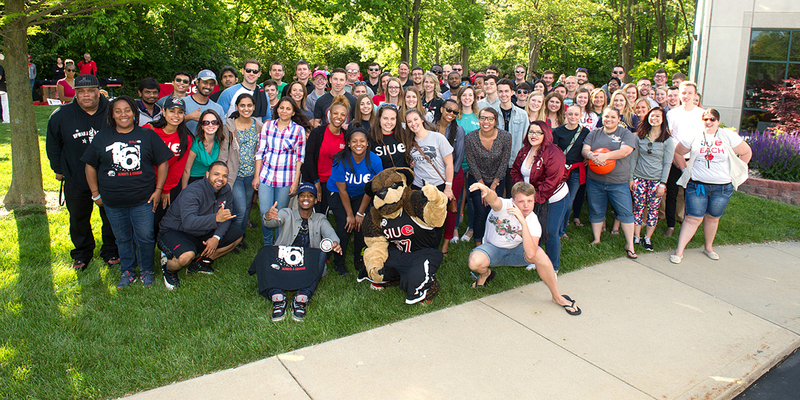 Bev is a Lifetime member of the SIUE Alumni Association. She is also a member of the 2010 SIUE Alumni Hall of Fame.